Eight days starting in Lisbon Friday March 15 and ending Saturday March 23. By March, while Canada is still covered in snow, the green countryside of western Portugal is bedecked with spring flowers and the average high temperature is 18C. 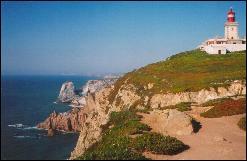 This holiday offers both coastal walks and inland walks exploring the footpaths in the verdant Sintra National Park. One full day is spent sightseeing in Lisbon where we find monuments to Portugal's "Age of Discovery" as well as castles and palaces. 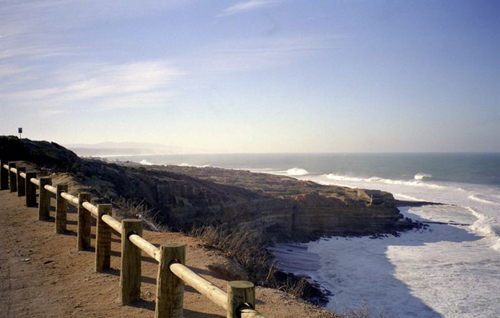 The holiday is for eight days based in a four-star hotel in the ocean-front town of Ericeira 45 km north-west of Lisbon. Seven of the days (March 16 - 23) are an HF walking holiday with one extra day (March 15) added so the dates fit in with direct flights from Toronto. Direct flights on TAP Air Portugal fly from Toronto to Lisbon Thursday March 14 overnight and return Saturday March 23 (or you could extend your stay in Portugal). Explore Lisbon with an expert guide. Marvel at the opulent Mafra Palace, once the country home of Portuguese royalty. Listen to the haunting strains of a Fado singer as you sip Portuguese green wine. Remember your history - Vasco de Gama and Henry the Navigator.